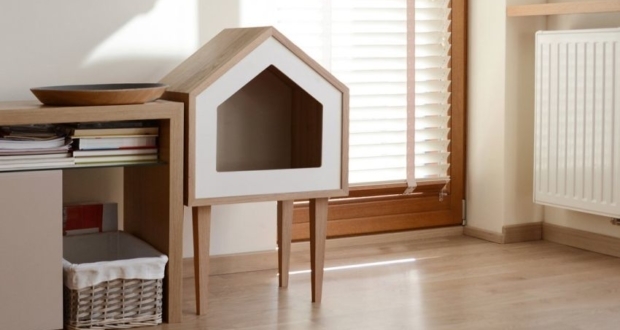 If you have a dog, you likely understand plenty of things that come with owning a dog. 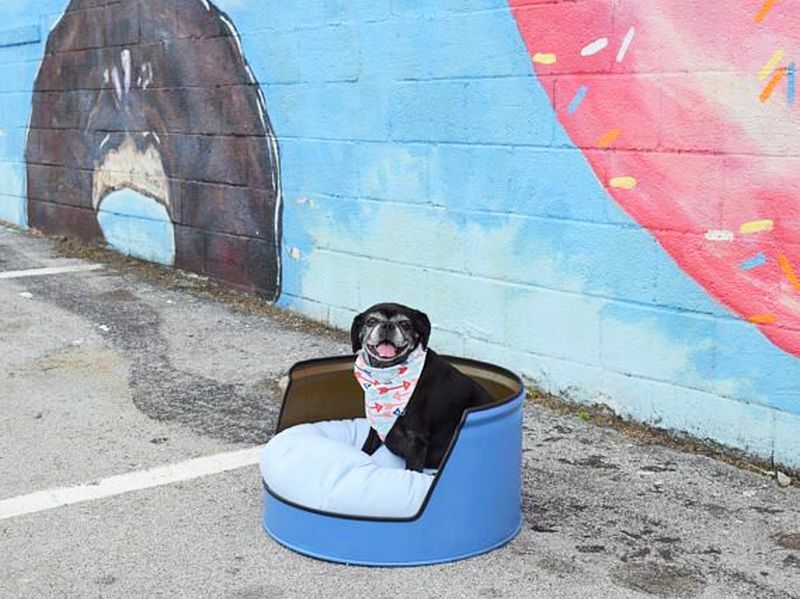 The two most important things your pooch needs are food and water. 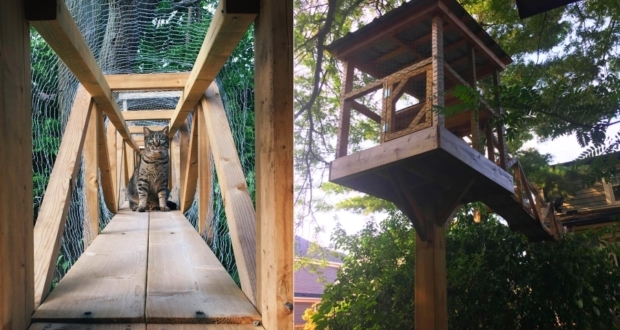 But what about a bed? 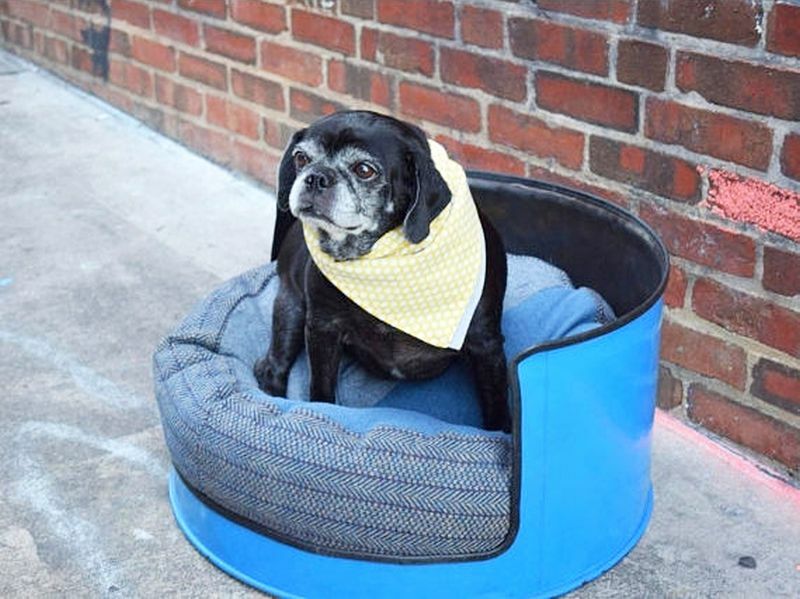 Well, as an owner, you cannot ignore the importance of a dog bed. 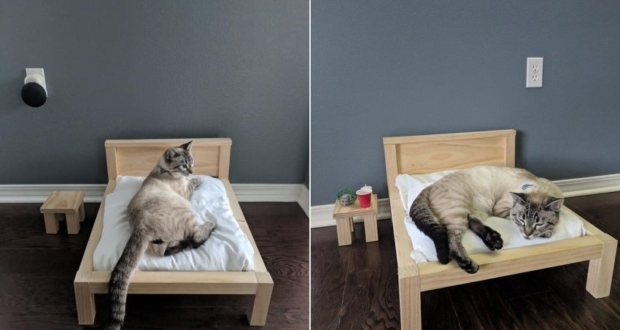 A comfortable bed is as important as food and water. 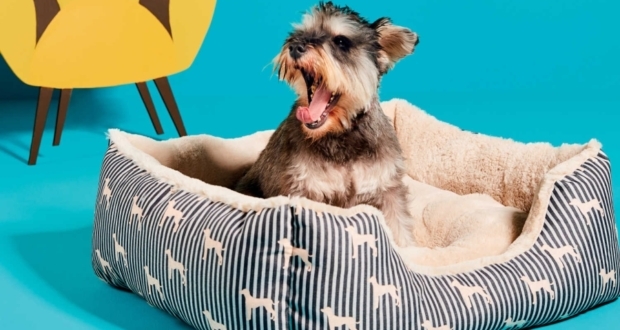 Rather than sharing your bed with your pet, provide him a bed of his own. 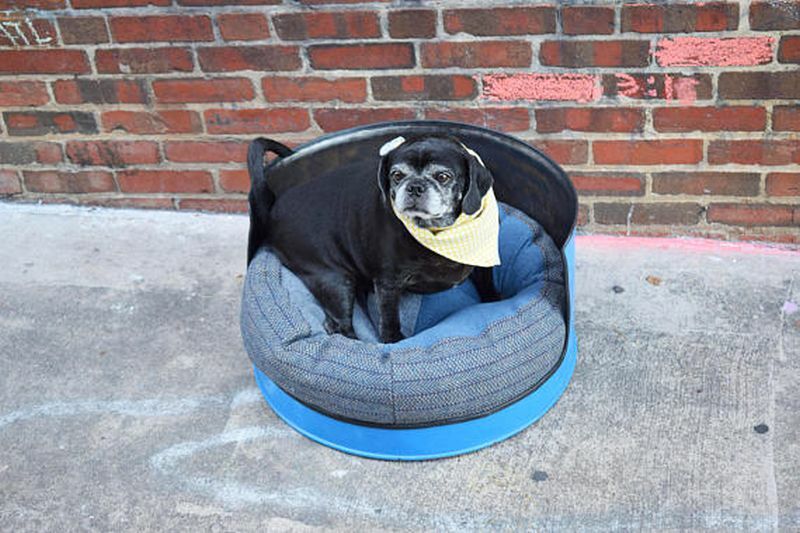 The Clever Raven Dog Co. has everything from looks, style, and comfort to appeal. 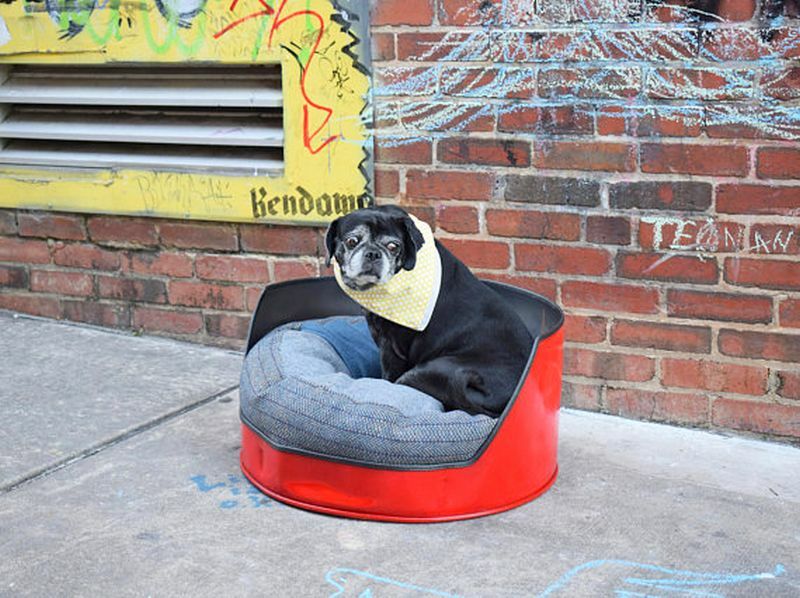 This unique dog bed is upcycled from a 55-gallon metal oil drum. 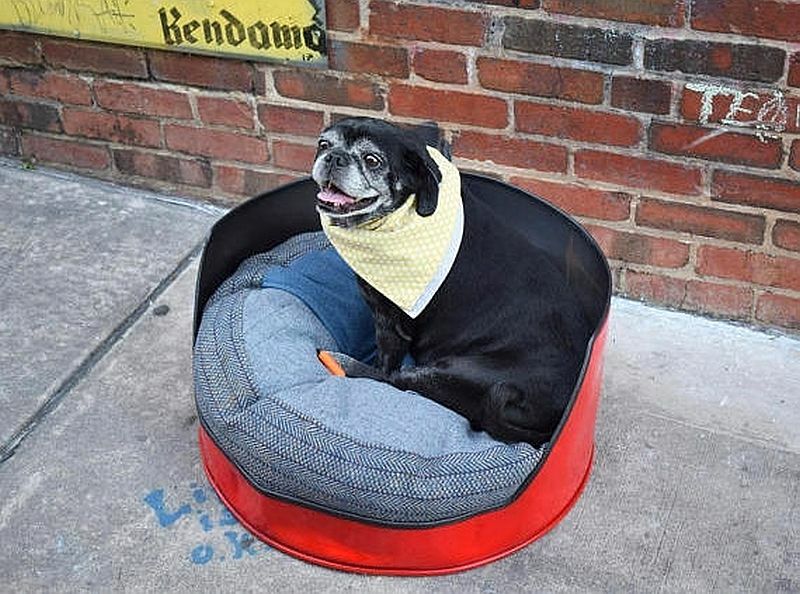 To transform the oil drum into a dog bed, Brit Sigh – the owner of the company, cuts the oil drum from bottom in a definite shape and adds rubber cushioning for protection. 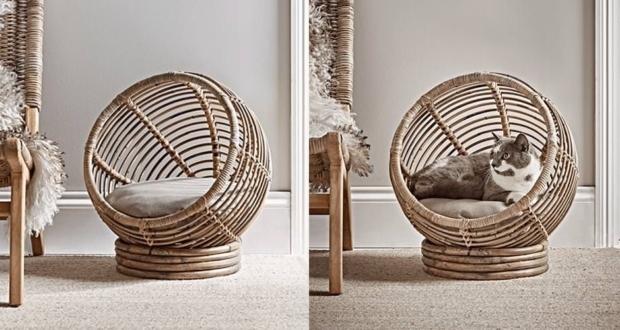 The round cushion is recycled from soft old clothes to provide comfy seating and sleeping area. 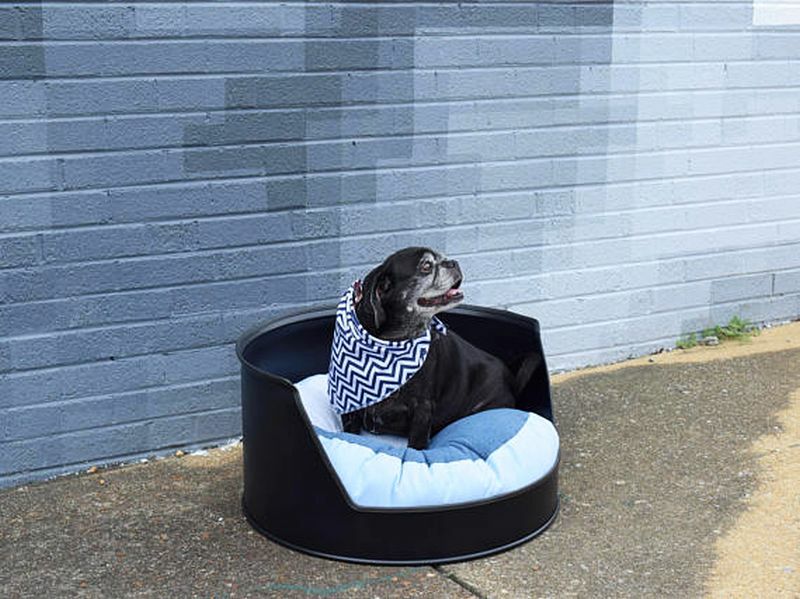 Ideally built for small dog species, the 23 inches wide and a long dog bed is great for adding an element of cuteness to your living room. 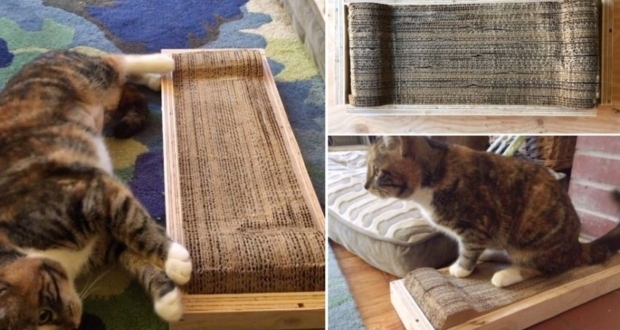 Although you can easily build oil drum furniture for your furry friend at your home but will take some elbow grease; buying one from Etsy for just US$117 is a reasonable option. 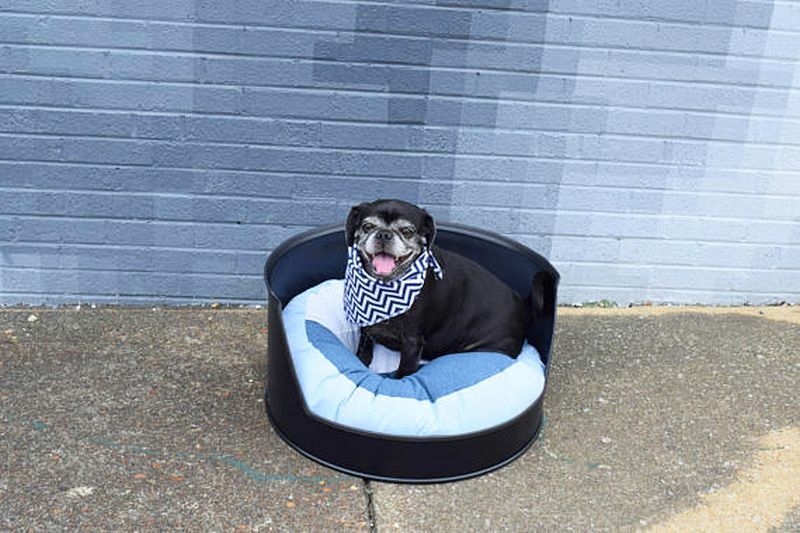 The dog bed is available in red, blue and black colors, and if you need it in some other size or color, you can ask Brit to customize it in accordance with your preference.